THE Department of National Defense (DND) has alloted P.5 billion for the development of a second naval facility in Puerto Princesa City, Palawan, home of the Naval Forces West (NFW), which oversees and protects the country’s interest in the disputed West Philippine Sea. Navy spokesman Lt. Cmdr. Gregory Fabic on Thursday said the development of Ulugan Bay is in line with the capability upgrade of the NFW, and once completed would be used as homeport of large vessels like the Hamilton-class cutters BRP Gregorio del Pilar and BRP Ramon Alcaraz, and other upcoming strategic sealift vessels of the Navy. Fabic explained that the Navy has no big port of its own nor does it have the facilities to accommodate its bigger ships so when said vessels are in Manila they are anchored at the North Harbor and when up north are docked at the Subic Freeport. ”So it is being developed so that the Navy will have its own [port] that will house the big vessels of the Navy,” he added. Ulugan Bay is some 50 kilometers or an hour’s drive from Puerto Princesa City facing the disputed Spratlys in the West Philippine Sea, also known as the South China Sea. The bay is strategically located and is usually used as a safe zone or shelter by yachts and other sea vessels during stormy weather in the disputed sea. Fabic stressed though that the planned improvements in Ulugan has nothing to do with the territorial dispute between the Philippines, China, Malaysia, Brunei, Vietnam and Taiwan over the mineral-rich Spratly group of islands. “It won’t be misinterpreted [by China as a form of agitation] because in the first place, we have an existing facility there, the headquarters of the NFW, and a P500-million fund has been programmed for its development,” he added. Fabic also disclosed that the upcoming anniversary of the Navy would be held in Ulugan Bay with President Aquino as guest of honor. 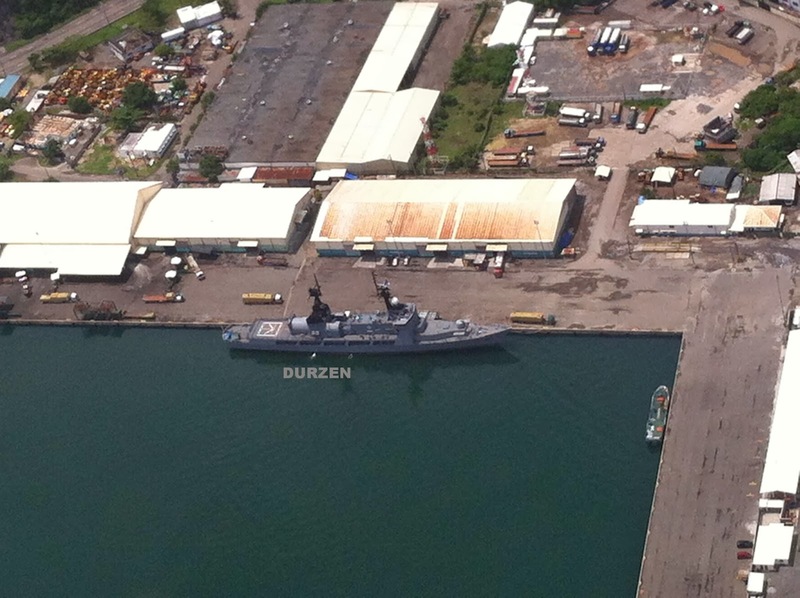 Besides Ulugan, the DND is developing Oyster Bay, also in Palawan into a major naval facility. A P300-million budget has been allotted by the defense department for the construction of a pier, a harbor and support facilities which, the Navy leadership said, were necessary to improve the Armed Forces’ response capability. Earlier, Naval Forces West commander, Commodore Natalio Abinuman, said the facility would boost the Navy’s capability in responding to any scenario in the West Philippine Sea even as he stressed that development of Oyster Bay is not directed against China but generally intended to protect the country’s sovereignty and territorial integrity. “This will improve our support system for our ships that are being [deployed] in the western portion of our seas,” he said. Oyster Bay is about 160 km or 100 miles away from the disputed Spratlys.